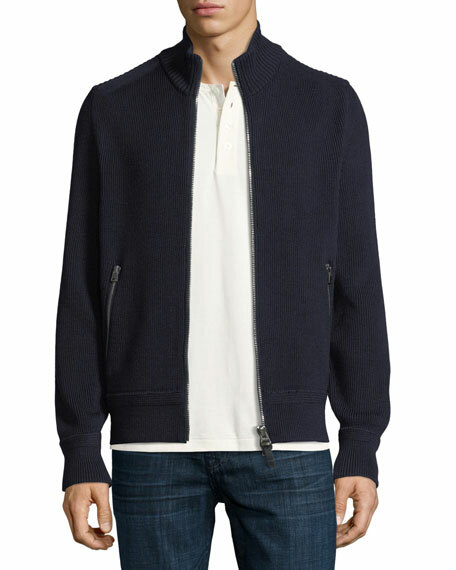 Brunello Cucinelli sweater in bicolor wool-blend. Turtleneck. Patch pocket at left chest. Straight hem. Pullover style. Virgin wool/cashmere/silk. Made in Italy. 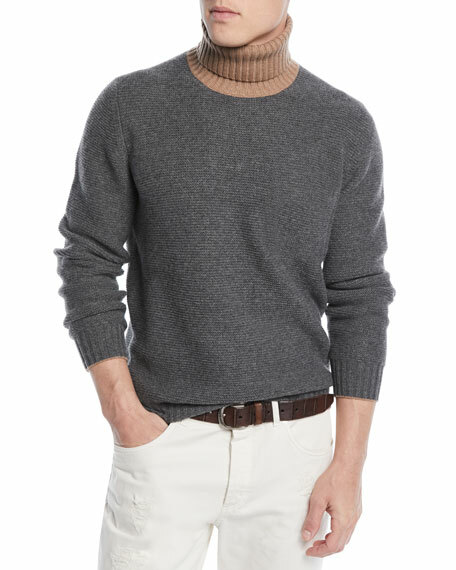 Brunello Cucinelli sweater in cabled knit. 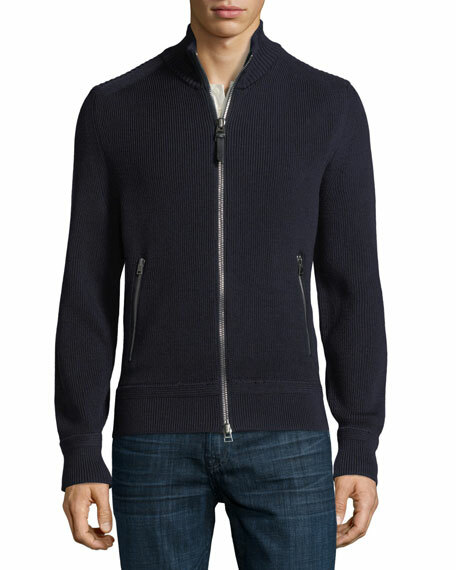 Stand collar; quarter-zip placket. Straight hem. Pullover style. Cashmere. Made in Italy. 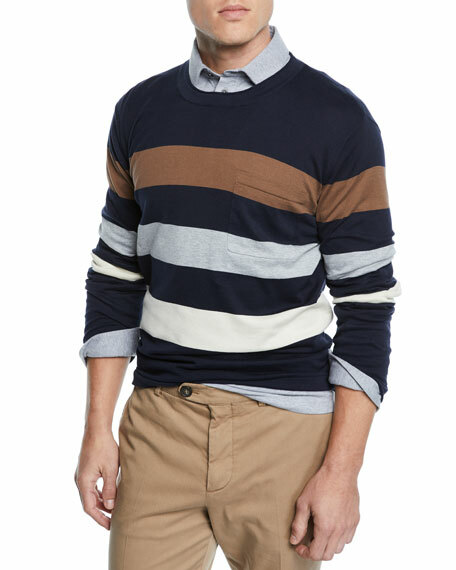 Brunello Cucinelli sweater, in three-color striped knit. Crew neckline. Chest patch pocket. Long sleeves. Pullover style. Cotton. Made in Italy. 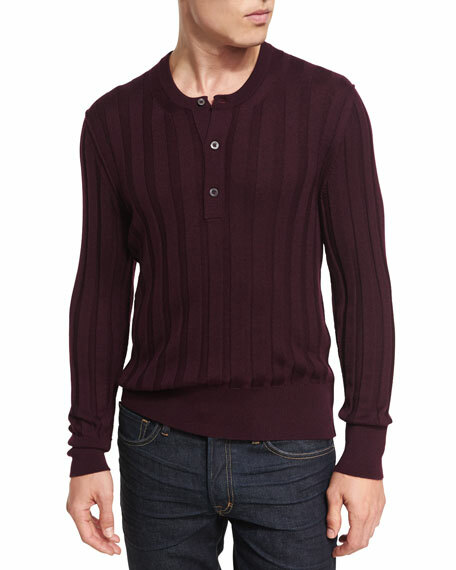 TOM FORD henley sweater in supersoft 14-gauge knit with wide ribbing. Finely ribbed neckline, cuffs, and hem. 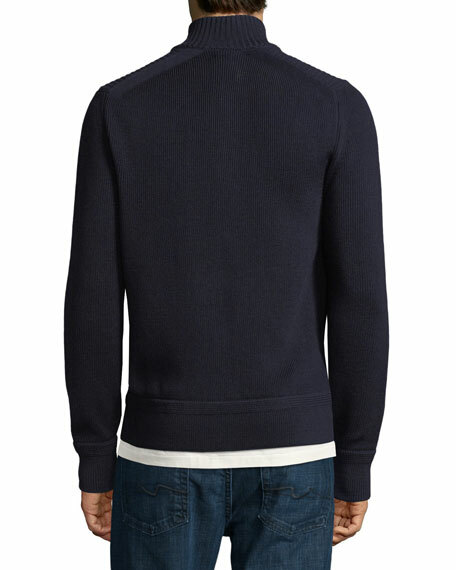 Crew neckline; three-button placket. Long sleeves. Pullover style. Slim fit. Cashmere/silk. Made in Italy.